← A free education and it’s not just for baby-boomers! 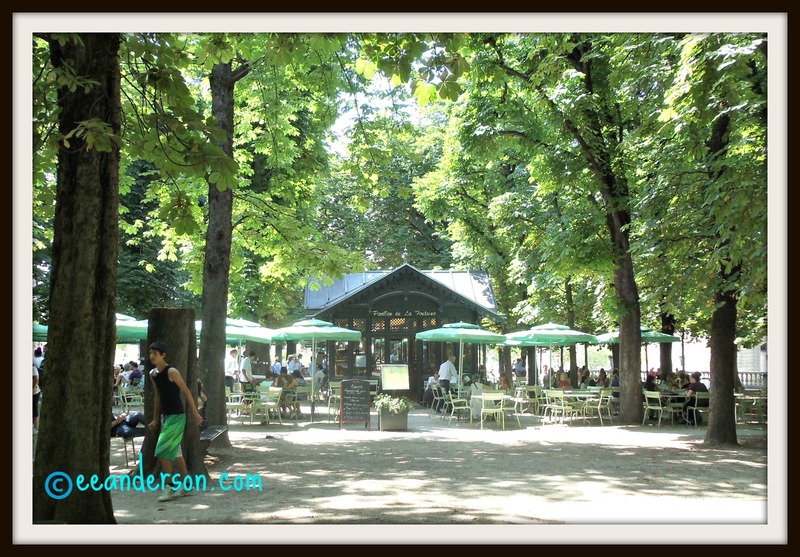 The Jardin du Luxembourg Paris is my favorite park in that city. Why, you may ask? Well for one thing it is located on the left bank my favorite area. It is in the 6th arrondissement. It is so lovely with many statues and fountains, lots of shade trees and places to sit. You can stroll around or sit and watch the world go by. If you want to check something out or work use the complementary WiFi. There is the old Medici château that is now the senate and if you like you can give it a visit. 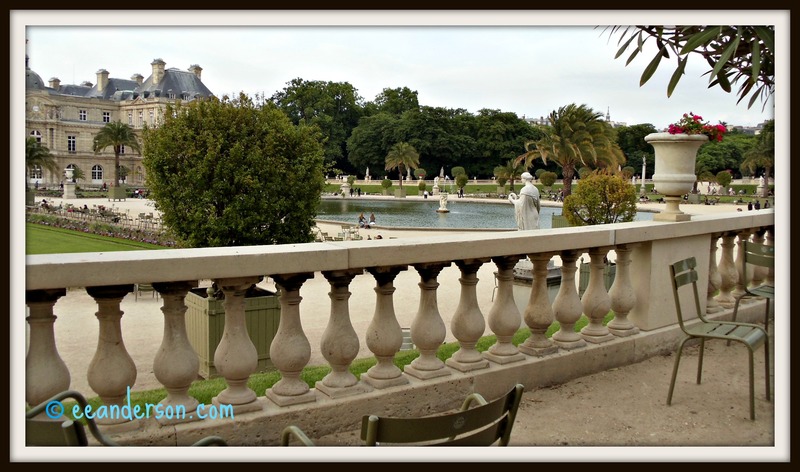 Watch sail boats in front of the senate at the Jardin du Luxembourg Paris. There are many viewing seats to watch the mini sail boats in the pond in front of the Chateau. There are other small museums to take a look at like the one named Medici. Also there is an orangery and a bee house. They quite often have art shows and choirs performing. It was built by Marie de Medici the widow of Henry IV fashioned after the Pitti Palace in Florence so It has Italian look and feel. The buildings around the park are also very beautiful because in the past many noblemen lived near the park. 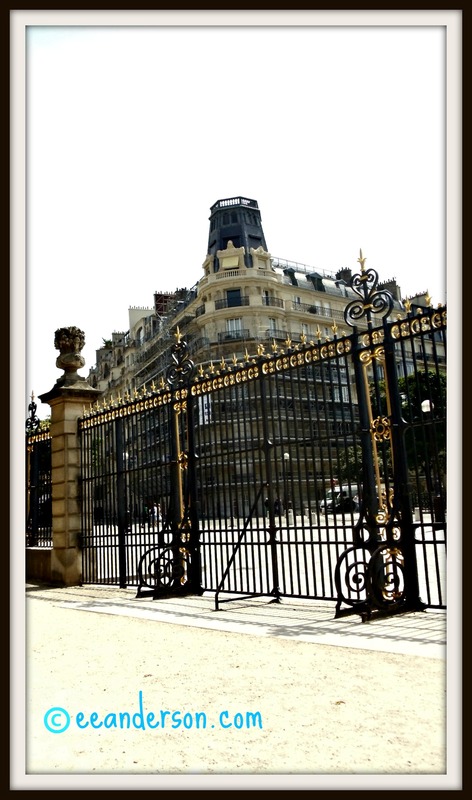 I even love the very ornate gates and fences. It is also very nice to walk around the outside perimeter of the park if you are able, and there are lots of benches so that you can stop and rest. If you tire there is always a bus to hop on. If you have any physical challenges like me you can come here and rest but still are out enjoying the day. I find it peculiar, but a very good thing that they have signs on certain days in particular areas stating in three languages that “Sitting on the grass permitted.”(Pelouse Autorisee. Aqui se puede useted sentar) Of course many people take them up on this and children get to run freely. Lie down on your blanket and take a nap if that pleases you. If you would like lunch or a snack there is a nice café with umbrella covered tables. On many days when we have been there we were able to at no cost; take in a nice concert sitting in the shade. I find this a very relaxing way to spend a few hours. 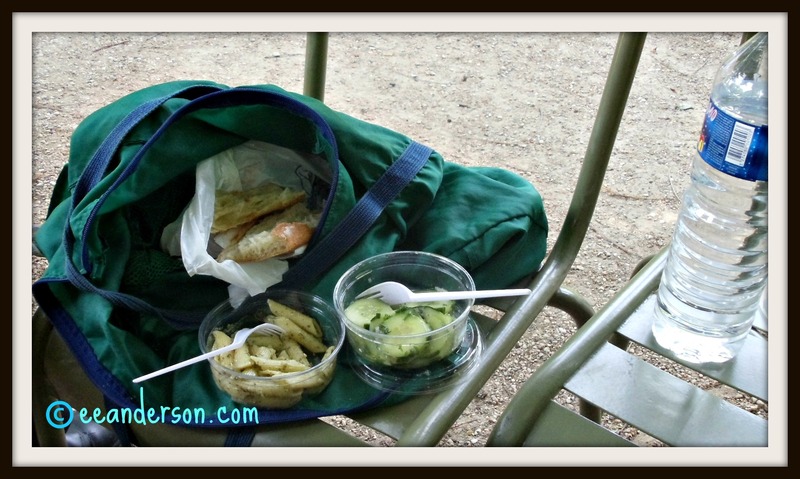 There is a bakery-deli close by and so often we had an impromptu picnic. We really enjoy picnics sometimes elaborate planned ones with wine, tablecloths and a picnic basket full of cheese and goodies and other times simple like this one. 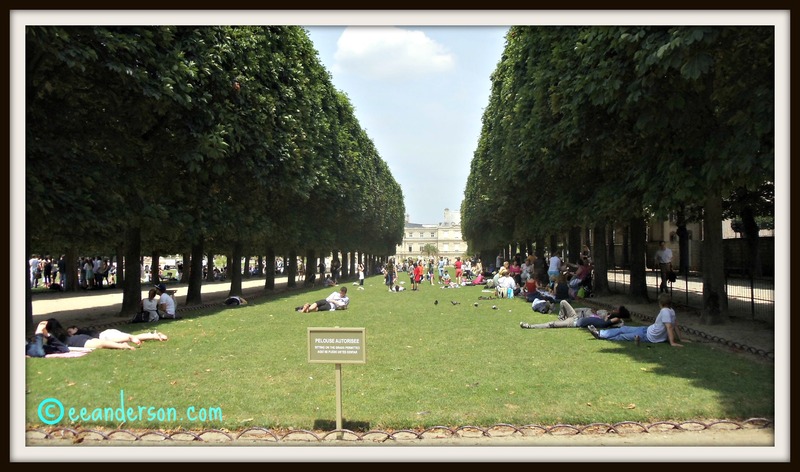 This entry was posted in Babyboomers, France, Paris, physically challenged, Travel, Travel tips and tagged Jardin du Luxembourg, Luxembourg gardens, Marie de' Medici, Medici, Paris, physicacally challenged, travel, travel tips. Bookmark the permalink. 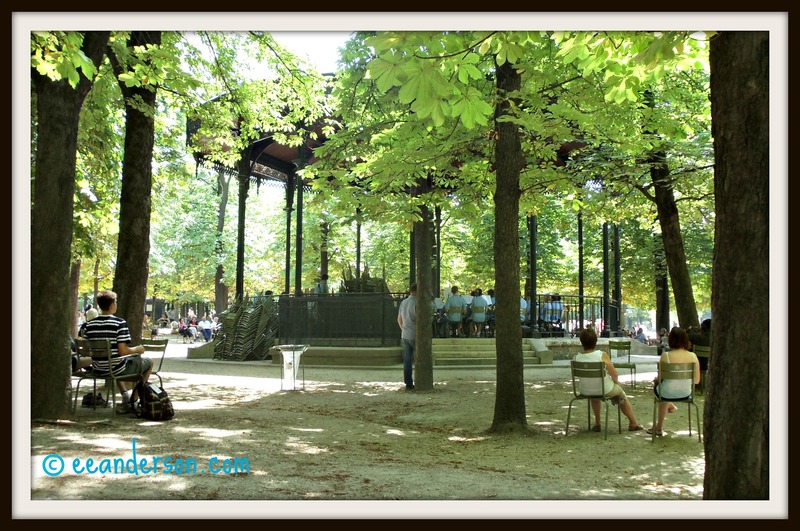 9 Responses to Why do I love Luxembourg Park in Paris? Thanks for checking out my blog! I will be checking your interesting site often as I love to know how other boomers are making their way through these future years. Yes, it is great to know what is happening with other boomers. I imagine we will do things our own way as we always have. You are so right about Luxembourg Park. My daughter and I had a wonderful day there a couple of years ago. We even chatted with a gendarme outside the Senate and I had a field day enjoying all the statues. Did you note the very large gold head on one side of the park? It was the only statue that seemed out of place. 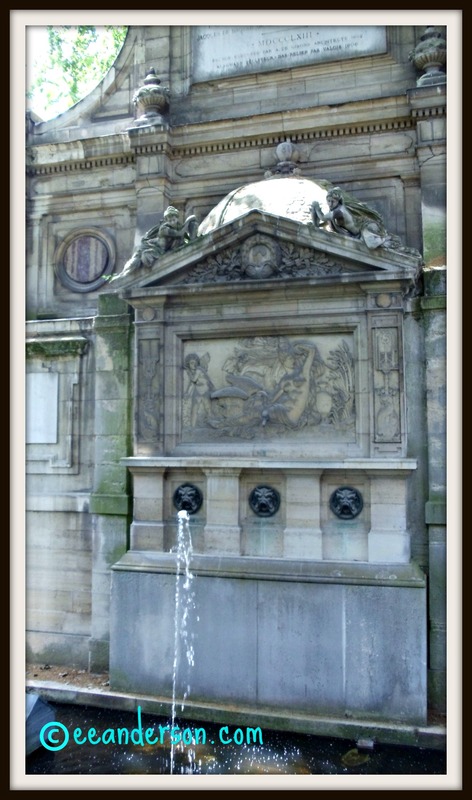 Nevertheless one of my favourites along with La Pere LaChaise Cemetery and the Louvre. I don’t really remember the gold headed statue but I am sure it would seem out of place. I am glad you agree that Luxembourg park is so nice and that you and your daughter had such a good time. Oh, I like the Louvre also. The park is certainly multi-faceted – a great place to stroll, relax, and people-watch! The last time I was there, there was a tai-chi class taking place on the grass! Thanks for visiting my blog too. I agree there is always something interesting to watch. Did you feel like joining the tai-chi? I read on your blog about the earth tremors; very lucky that you were out of town. Just enjoyed watching the tai-chi, since it was a private class. Even though Nice is in an earthquake ‘zone,’ I don’t believe the tremor was felt in the city center itself. Have a nice weekend! I love the children floating newspaper sailboats on the park’s tiny lake. It is so pleasant to watch them having such fun.